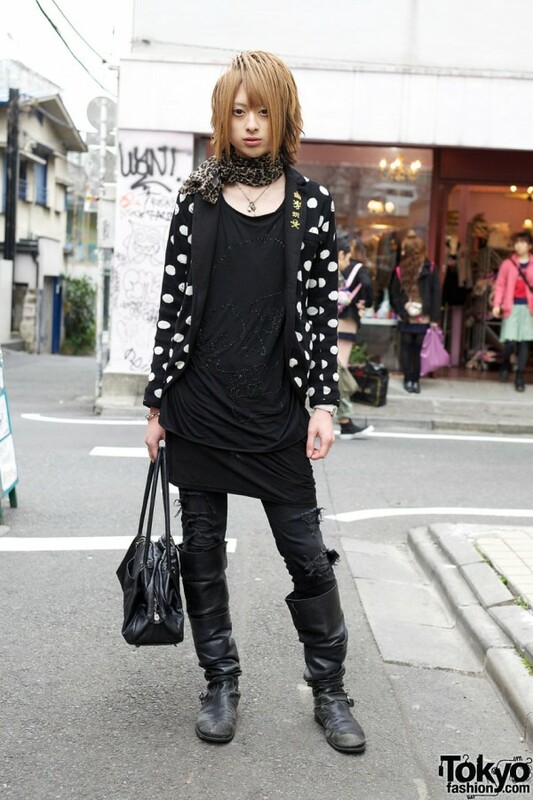 Here’s Yui, a stylish Japanese guy with a blonde hairstyle who we met on the street in Harajuku. 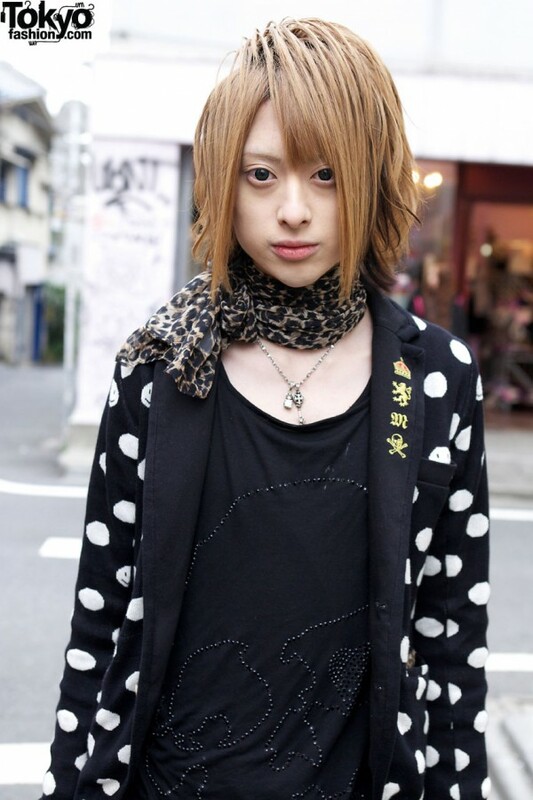 Yui told us that he works as a host. Yui is wearing a jacket with a polka dot pattern (some of the polka dots are smiley faces) over a long black skull-logo top, torn jeans, and knee-high leather boots. 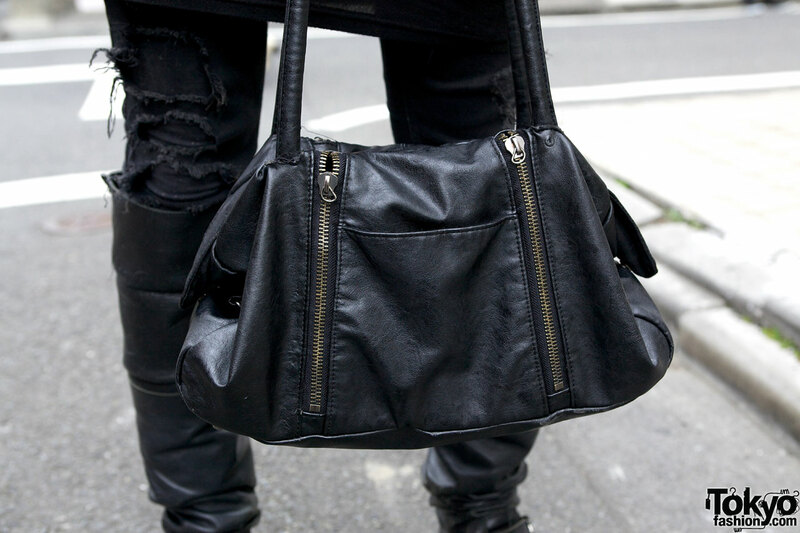 Accessories include a leopard print scarf, crown & key silver necklaces, a wrist watch, a silver skull ring, a silver chain bracelet, and a black leather bag. his eyes.. his nose.. his lips… oh noooo…. Aaaah!! We need moar pretty/handsome boys with such a perfect style! He has really lovely hands! 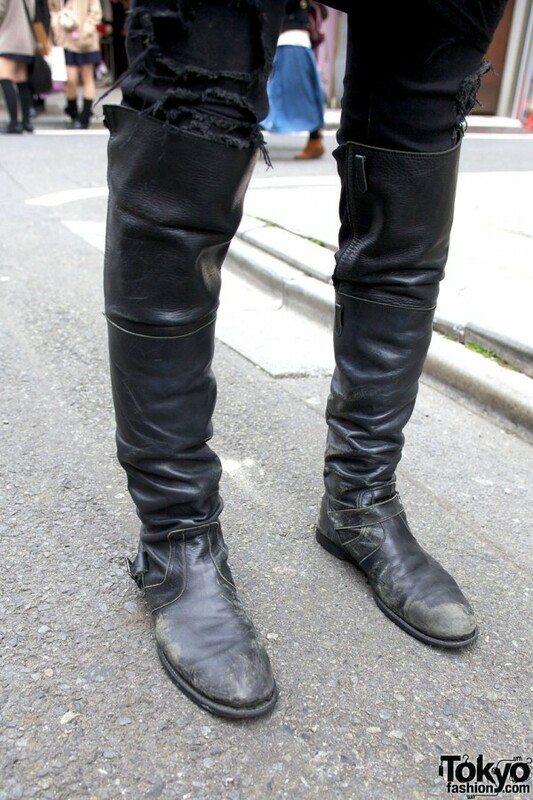 He’s really looks like a girl… I love his boots!